The 35-year-old Mary Kom, who came here on the back of gold medals at the Asian Championships and the India Open, defeated old nemesis Steluta Duta of Romania in her quarterfinal contest. India's women boxing stalwarts M C Mary Kom (48kg) and L Sarita Devi (60kg) were assured of their third successive international medals after they entered the semifinals, along with two male boxers, in the 69th Strandja Memorial Boxing Tournament. Amit defeated China's Zhonglin Wu in a draining contest, while Hussamuddin pulled off a comprehensive triumph over American Raymond Ford during the evening session. 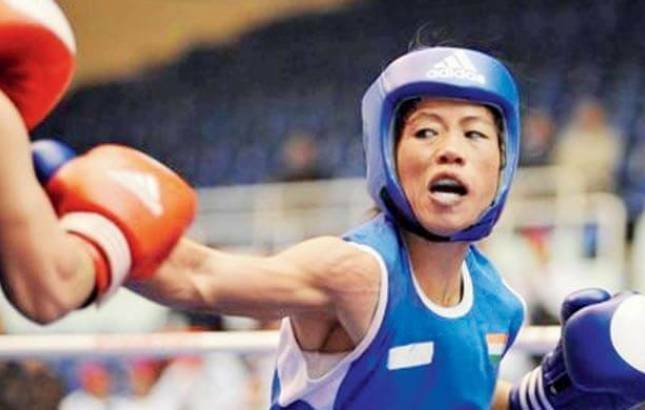 Mary Kom relied on her sharper reflexes to outwit Steluta, who is a three-time world championships silver-medallist and a four-time gold-winner at the European Championships. India are now assured of seven medals in the tournament, five of them courtesy women boxers — Seema Punia (+81kg), Saweety Boora (75kg), Mena Kumari Devi (54kg) and Bhagyabati Kachari (81kg) being the others in semifinal apart from Mary Kom and Sarita.